Save Your Money for Books! : Curveball by V.K. Sykes Book Blast & Giveaway! Save Your Money for Books! ROMANCE BOOK REVIEWS, GIVEAWAYS AND DEALS! Sometimes I think I should re-name this blog Save Your Money for Sports Romance Books. Most of you that follow me already know they are my favorite and I never turn down a chance to promote one, especially when it is part of a series I already love! Check out this cover! I would have bought this book for the cover alone! Holy hot baseball player! This series is excellent and the 4th installment does not disappoint. The Sykes tell a great story and for those of us that enjoy the sports aspect and the romance aspect it's the best of both worlds. Ryan and Taylor are so scorching hot, the love scenes are worth a re-read! All of the books in this series are stand alone books, so even if you haven't read the previous 3, you can pick this book up and go! I really enjoyed this and can't wait for more from this author team. Curveball gets a GRAND SLAM- 5 Stars from SYMFB! Go get this book for the bargain price of $2.99, you can't go wrong! One lucky Save Your Money for Books fan will receive an eBook copy of either Fastball the 1st Book in the Philadelphia Patriots series, or Hot Number. To enter please comment on this thread, let me know the eBook type you prefer (ie: Kindle, Nook, Kobo, iTunes) and also your email address associated with that account so I can contact you if you are my winner! Also, please check out other stops on this Author's Taproom tour for more chances to win! I love V.K. Sykes. Great cover. Nice review. Would love to win an (e Pub) KOBO copy of Hot number. I have loved all the previous VK Sykes books I have read!! Hot Number for kindle! thanks! Congrats Alexis! You were my randomly drawn winner. The Author's Taproom will be contacting you via email with your book! Congrats to Alexis Brodie- she was our randomly drawn winner of the eBook Hot Number! Thank you all for participating and check back frequently, we always love talking about great books and giving away things here at Save Your Money for Books! Curveball by V.K. Sykes Book Blast & Giveaway! 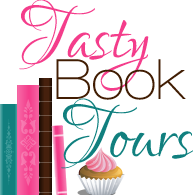 Proud Member of the Tasty Book Tours Family! Melissa Ives 2012. Awesome Inc. theme. Theme images by molotovcoketail. Powered by Blogger.